There was TT Travis in his red Texas JKR, TT Chris in his gray JKU, and Ryan and I in our black JKU. That was it for the Timber Tamers. Then there was some Bone Stock Jeepers that wanted to come along and see what the Timber Tamers were all about. Chuck Alderson in his gray Rubicon, Mike Millan in his brand spankin new white JLR, Mike Findlay in his red 2001 TJ sport, this was all we were meeting at this leg of the race… as it was slowly approaching 8:30 we thought we should get to our next meeting place at exit 62. Chris took the Lead and Travis took the back of the pack. Our Convoy down the freeway went well and we arrived at our last meeting spot, exit 62, and met up with Chris’s cousins Bo and Krista in their new white JL as well as another bone stocker named Alan Petit who also has a new gray JL – Three brand spanking new JL’s and they let a newbie decide where to go … ooops! We aired down right there in the construction parking lot right off the freeway and away we went. Im pretty sure that it was getting close to 10am at this point. The whole ride was going beautifully, following the GPS, everyone having fun and making great time on the trail. We stopped at the train trestle and ate a bite and looked around for a bit and of course let my dogs out to stretch. This must have been where we picked up a tick, but more on that later. We jumped in our rides and away we went again. We came to the intersection of 7037 and apparently the GPS thought that the road that went down and not up was the road that we needed to be on, because for 2 miles it said we were going the right way. NOPE! The road kept getting smaller and smaller until Chris who was in the lead stated that the trees were growing together, and it became unpassable. This is when the hunters arrived. We asked if this was supposed to be the through road and they told us no that we wanted the one back two miles. Then they asked if we saw a big elk and we all replied, “no”, and they helped us turn our rigs around and get us headed back in the right direction. With an official Timber Tamers turnaround under our belt we pressed on and found the correct path. Sorry about the NW pinstriping to all the new JL owners. I know I know the first one IS the hardest. The rest of the day went perfect. It was beautiful. We got up to near 5000 feet and ran into a dusting of snow, but that was about it. Got some great pictures and had a blast. We got to FS-70 then pulled over to air up and that’s when I noticed the tick. I apparently picked up a tick while crawling into the bushes to pee back at the train trestle and it was literally sticking out of my neck! I was so grossed out by this that I would pretty much do anything to get this thing out my neck. There wasn’t any internet available, so we couldn’t just google how to remove a tick from your neck. So, I did what any other person would do: I asked for suggestions from the pack and Ryan said we needed to cover it with rubbing alcohol to smother it so that it would back out. Well, no one had any rubbing alcohol around, but someone had some Listerine, so we filled up a cap full and held it over the tick, but I think we just got him drunk. Then someone else said to use mayonnaise instead, so off we went looking for someone with mayonnaise, and found some! I put a big blob of mayonnaise on my neck and nope that didn’t work either. By this time, we were all aired up and I was anxious to find cell coverage, so we could look up how to remove a tick. We got into town and pretty much by then everyone was going their own way except TT Travis. We pulled over in a random parking lot and looked up the proper way to get a tick out your neck and Ryan pulled out the tweezers and said that you are just supposed to gently pull it out. Travis said he was going to video tape this, but I am glad he didn’t. We got the tick out in one piece and my neck is healing fine. We stopped and ate then we drove home with no complications. There are a couple of people that I handed out some Tamer information to that might be coming to the next meeting. All in all, it was a great day in the woods! 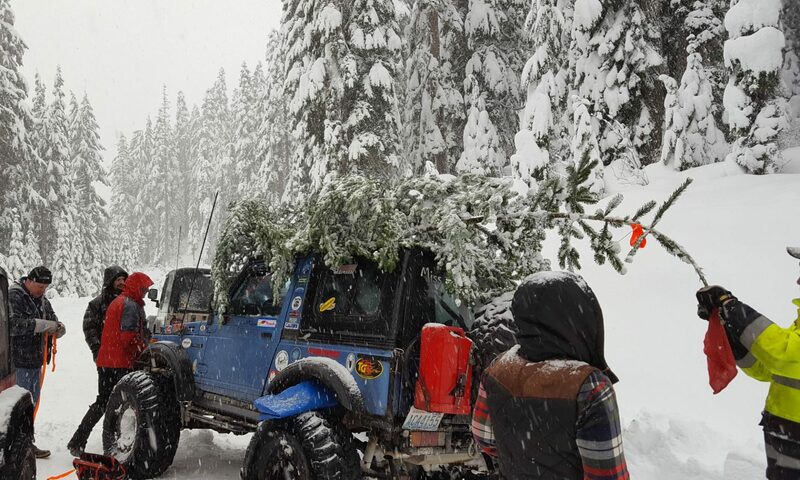 The only thing that stopped it from being a perfect run is that there were no Tow fees involved…. Sorry Casey! Thanks everyone for coming out on this run. I had a blast, and thank you for reading my first official run report!